Elizzabeth Hope: London Day 1-5! Wow, oh, wow have these past couple of days been an emotional roller coaster!!!! London isn't what I expected at all! Some are good and some are bad. But I want to be positive here so I will talk about the good! We ventured to Oxford Circus and that really fun! I got to see TopShop and how glorious it is! I was so overwhelmed I couldn't even think of something I want to buy! I tried on a few things but nothing fit me like I wanted them to. I'll have to try again soon! London is very loud! Like the sirens are loud and go off all the time! But the people themselves aren't loud at all. Where I come from we talk pretty loud or at least I am haha! Anyway...here is what I've been up to lately! Jeans : New York & Co. Here's a classic London picture. 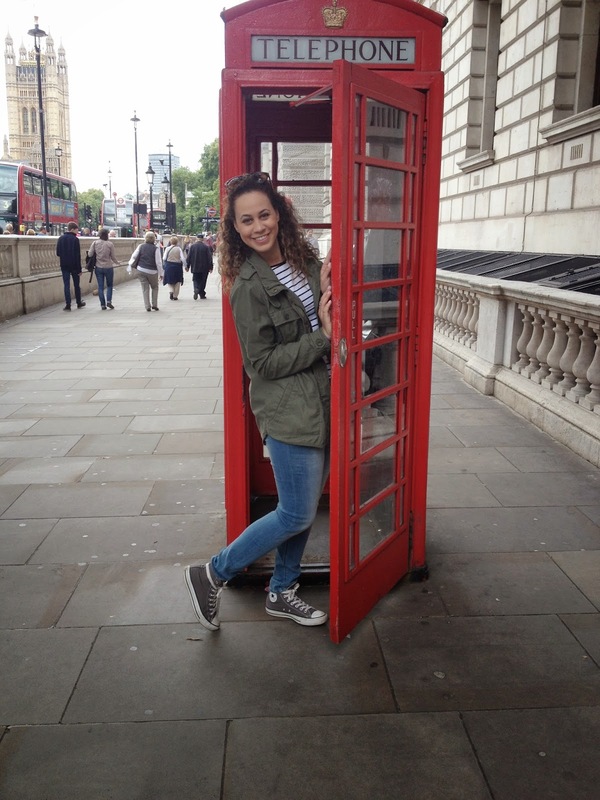 This was literally the one thing I wanted to do while I was in London!!! Now that I've done this I can say I've finally done this! (check that off my bucket list!) I love that London still has these up and didn't modernize them them at all! I think they are so cool! If only they could teleport me to different places! 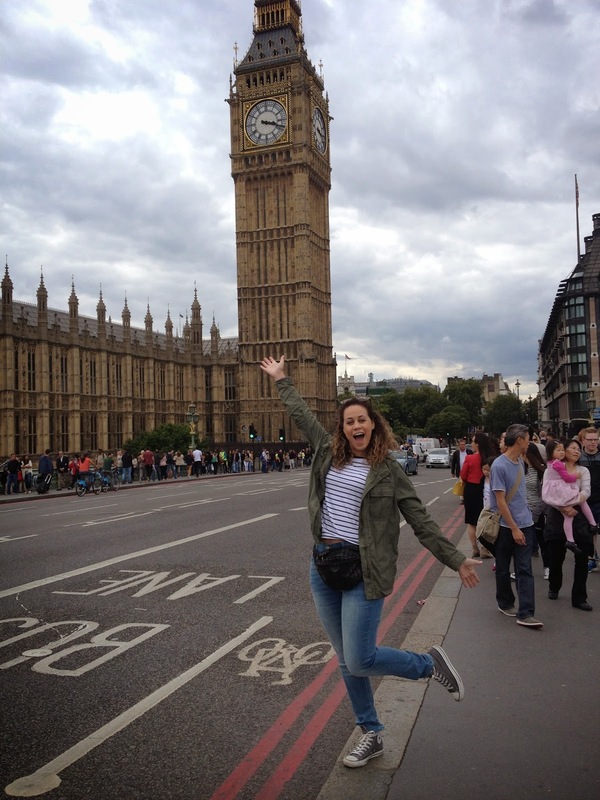 Big Ben!! I did a project in the 6th grade about London. It was a scrapbook on my fake travels to London. This day I got to see everything I wrote about! Big Ben is well...very BIG! The architecture is very amazing! Big Ben still works as well! The history of London is great! 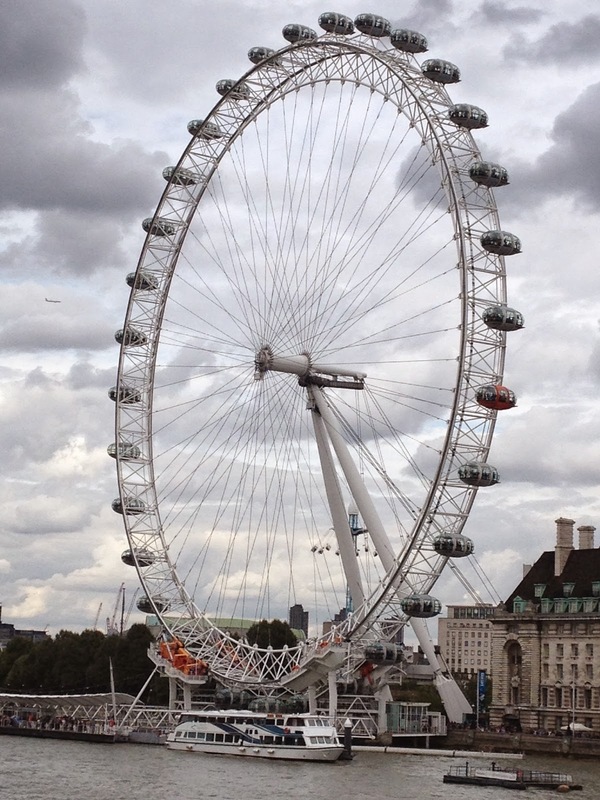 The London Eye! Another place I went on my fake travels to London in the 6th grade! haha! It almost doesn't look like it rotates it's that slow!! I'm afraid of heights like this so I don't think I'll be going on it! I believe this was the changing of the guards at 4 o'clock ON THE DOT!!!! It very cool to see! It was about 5 minutes long and no one could pass through while they were changing! The poor guys that have to be guards get tormented all day. There was one in the from and people were taking pictures with him. He looked so uncomfortable! He kept wiggling his nose! Probably because he wanted to sneeze because of all the body oder! Imagine how stinky it must be with all those people from all over the place!!! And lastly of course my palace...I mean Queen Elizabeth's Buckingham Palace! It was grand! Although I thought it was going to be bigger! I guess at least taller! It has so many rooms! So many guest rooms, bedrooms, everything! I believe there's about 775 according to Google...sooo...you can just imagine how wide it is! 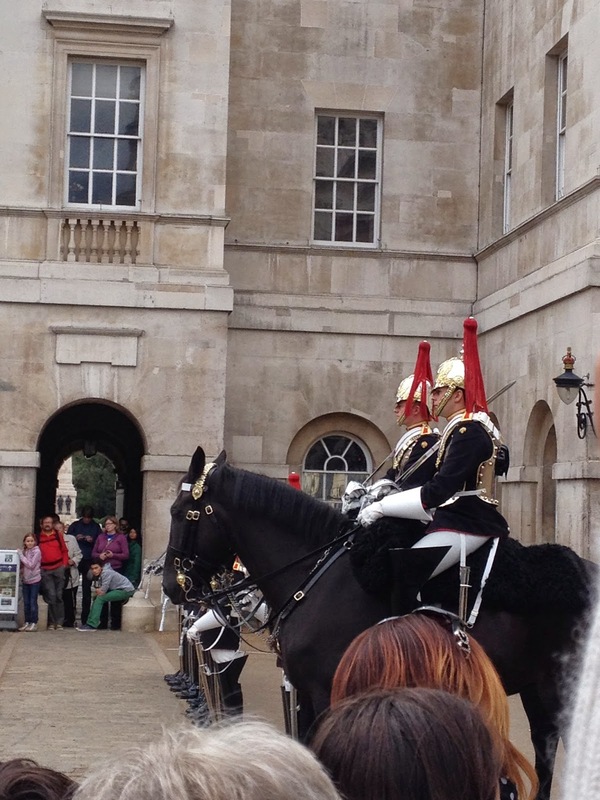 I was disappointed because there were no guards with the fuzzy hats and red coats on that day...but that's ok! Maybe next time I'll see them! Although I've had a rough week that was very emotional I'm happy I stuck to it and didn't go home right away like I wanted to. It's very rough for me to stay right now but I may be leaving London early then expected. But I'm not making up my decision just yet! I have origination soon and I'm going to see how I am when school starts! I miss my family like crazy and I know they want me to have a great time while I'm here. I'm trying to do just that. I'm taking in everything and making the best out of a worse experience. Taylor and Cam will be here soon and maybe knowing they are close will help me. Well I'm about to go back to internet surfing! Maybe try to listen to some music and try to relax! haha! I want to thank all my friends who have texted me to make sure I'm ok! I want to thank my family so much for all their love and support and me facetiming them everyday twice a day. But it comforts me very much to see their faces and my puppy Lilly's face!! I miss and LOVE them sosoosossoososo much!!! You mean the world to me! Love you to the moon and back!!! So pretty! I'd love to go to London someday! I'm sorry your experience has not been exactly as you would have wanted it to be ... yes, give yourself some time and see if it becomes a 'breathe easier' experience! And keep focusing on the positives! I was in London some days ago!! This post brought me some memories!